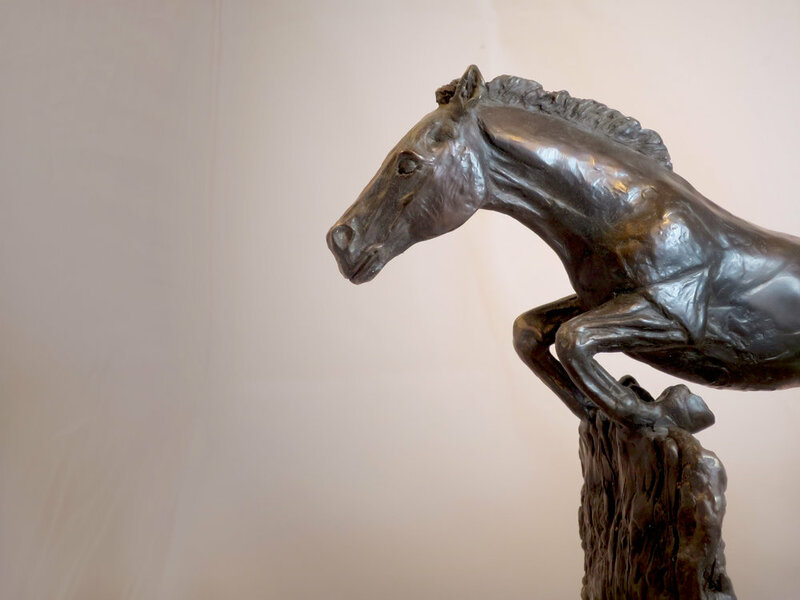 Sleek and stylish bronze racehorse sculpture, finished in a traditional brown patina mounted on an Oak Plinth. This stunning sculpture stands at 9.5 inch’s high and would look great in any country abode. '“Final Hurdle” is one of 6 editions cast in Bronze, Unfortunately this sculpture is not available as a resin cast due to the weight distribution over the fence. 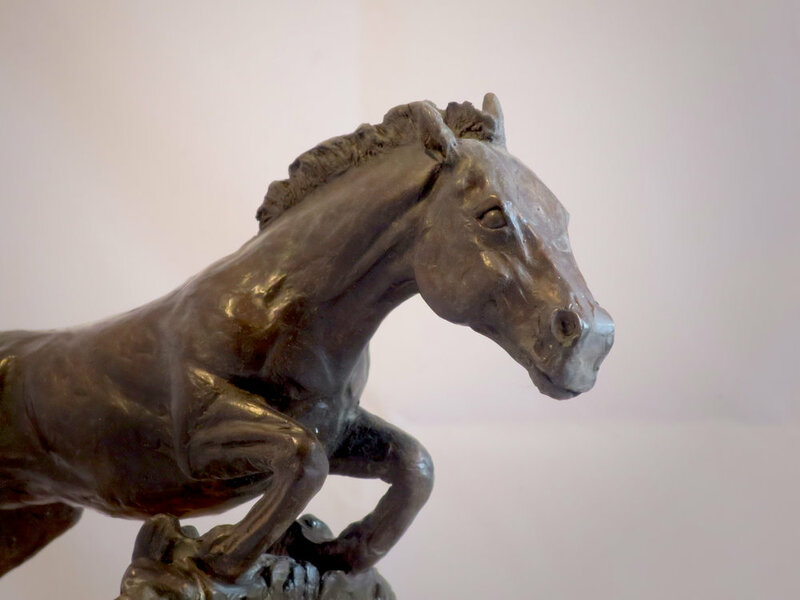 I was Inspired to make this racehorse sculpture following a day out at Cheltenham races. The aim was to create a sculpture that portray’s the agility, speed and power of a racehorse taking flight over a hurdle. The Thoroughbred Horse is used for racing and are known for being bold, athletic, energetic, versatile, intelligent, alert, courageous, and excitable. One of my most favourite horses to ride.